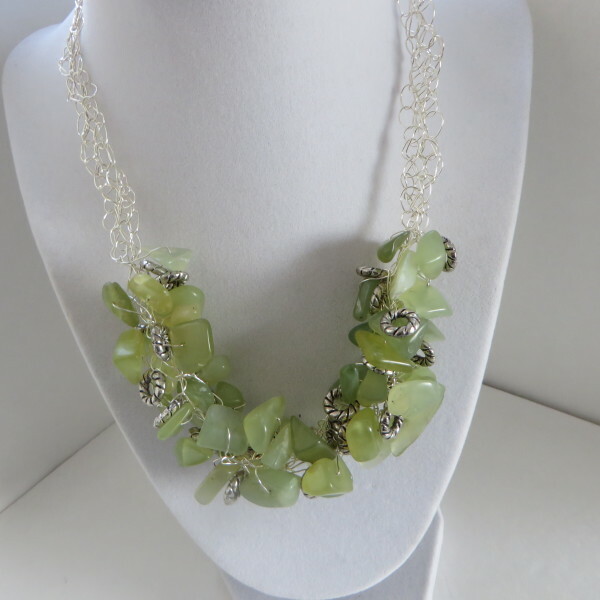 Be stunning with this necklace! 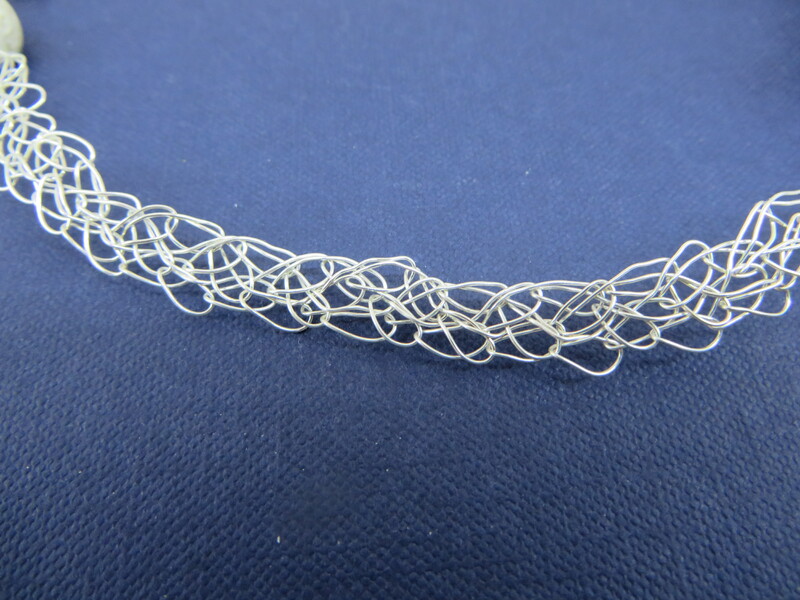 This necklace is 17 inches in length with a 3 inch extension of silver plate chain and is constructed with multiple strands of crocheted non-tarnish 26 gauge silver wire. 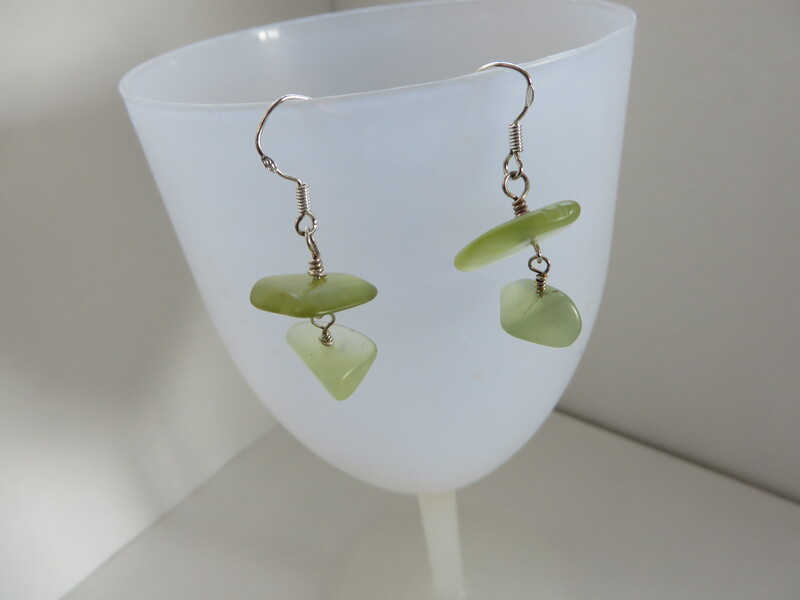 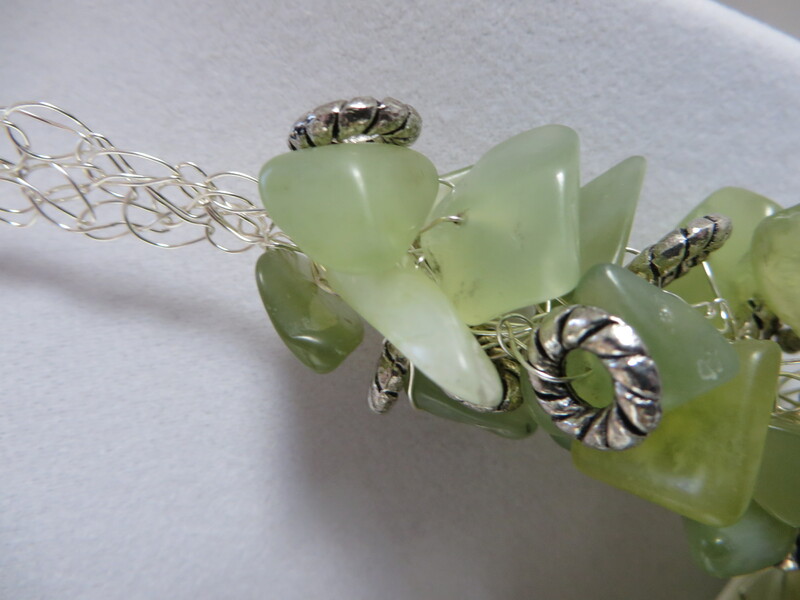 The beads are jade glass chips in light lime green with small antique silver hoop beads. 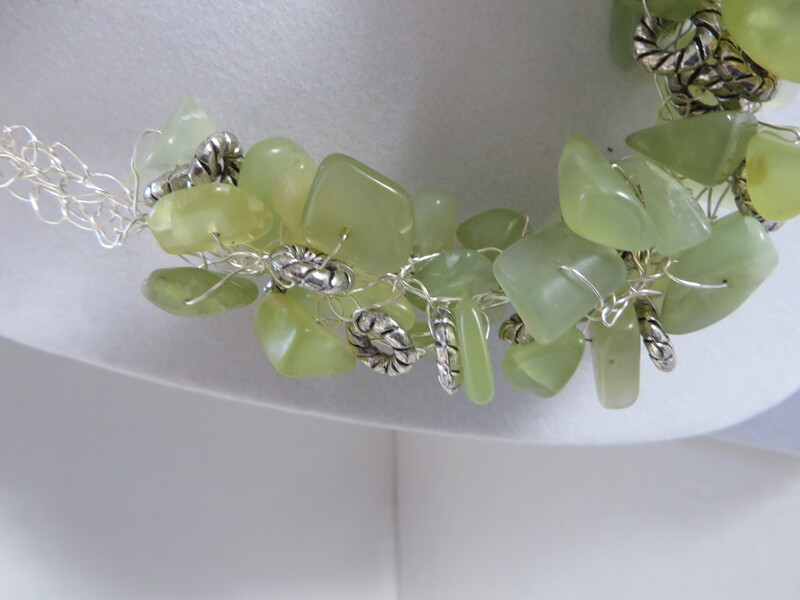 It is finished with a lobster clasp and is a one-of-a-kind piece. 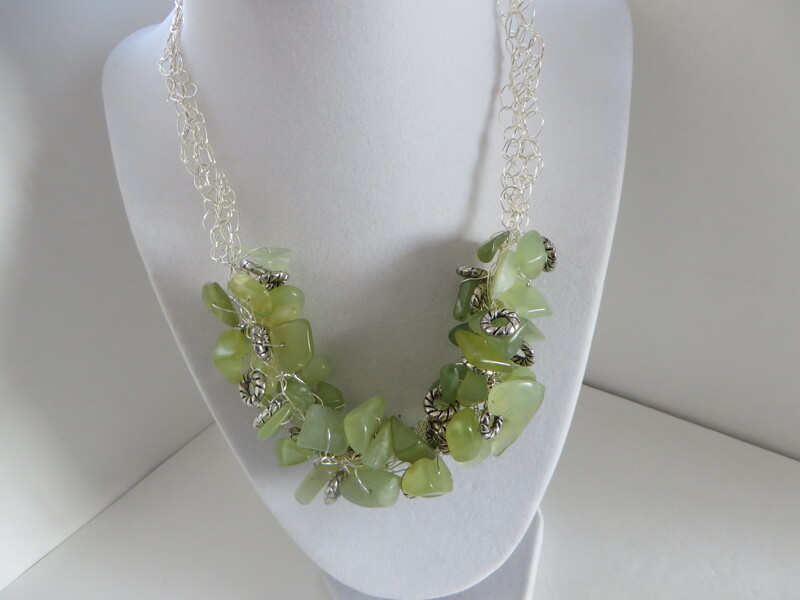 This necklace is a real beauty and would look absolutely stunning with either jeans or a dress!